Solid 925 Sterling Silver 2mm Rubber cord Necklace/bracelet! 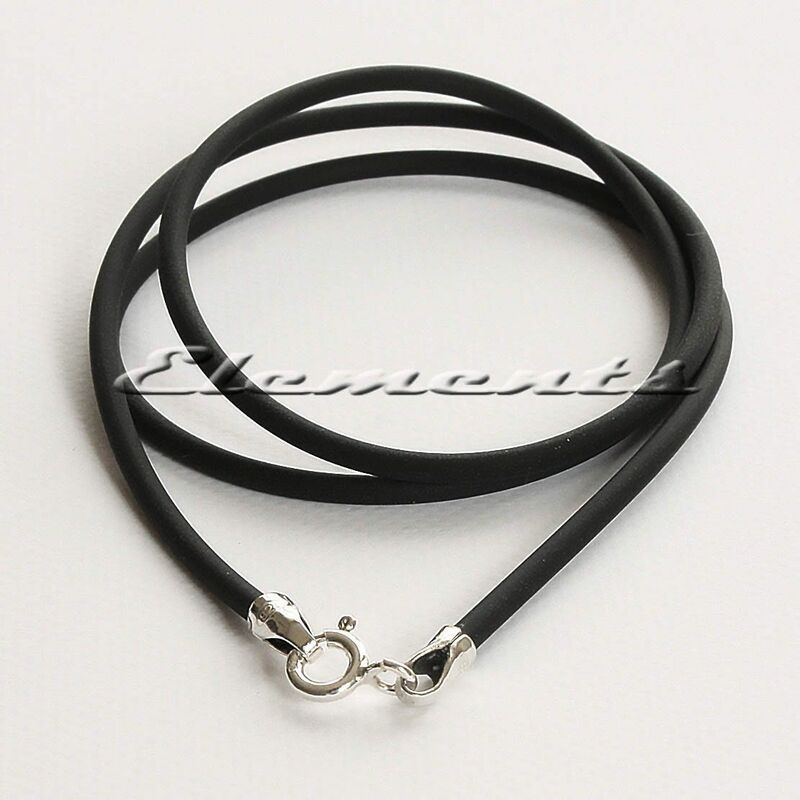 Our 2mm black rubber cord features solid Sterling silver end caps with bolt ring clasp! All metal components of the necklace are made of solid high quality Sterling silver and are hallmarked with 925! The cord can be used as a necklace or bracelet and is ideal to put beads/charms or pendants on it. With 2mm black matte rubber cord!